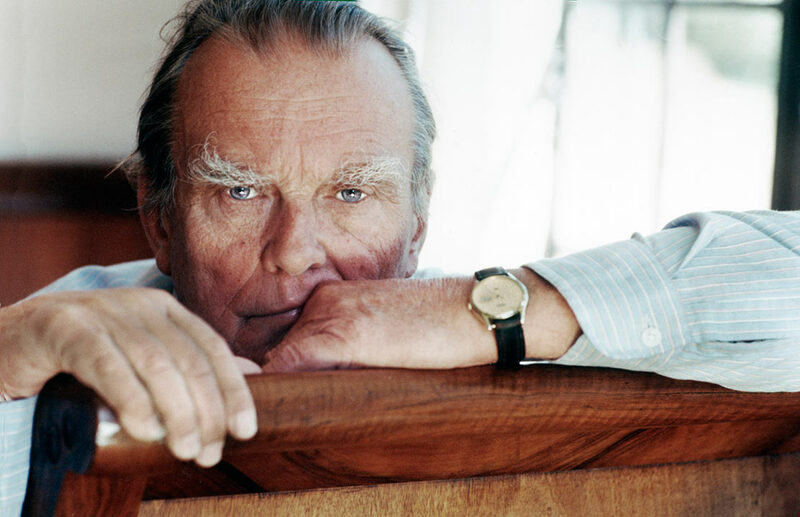 Was he really a Polish poet, or did he just write in Polish? He regards himself neither as a Polish national, nor a Lithuanian, though he was born in Szetejnie in what is now Lithuania. In the same way, my father was born in what is now the Slovak Republic, though he was most comfortable with Hungarian. And I was born in Cleveland, Ohio. Although I write today in English, my first language was Hungarian—and my deepest feelings all have Magyar correlatives. Giving us the estate of the world to manage. From the filthy discord of tortured words. Opens the congealed fist of the past. And poetry, her ally in the service of the good. The news was brought to the mountains by a unicorn and an echo. Their friendship will be glorious, their time has no limit. Their enemies have delivered themselves to destruction. There are two narrow gauge steam trains relatively close to each other, both once part of the Denver & Rio Grande Western. One runs in Colorado between Durango and Silverton and is, in fact, called the Durango & Silverton. The other runs between Chama, New Mexico, and Antonito, Colorado. That is the Cumbres & Toltec—named after Cumbres Pass and the Toltec Gorge, two of the scenic highlights along the route. 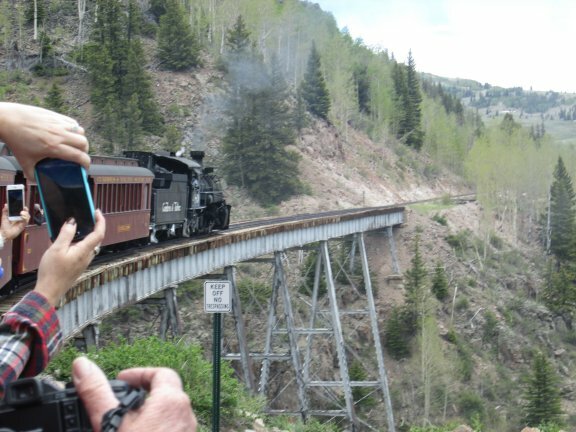 Martine and I went on the Cumbres & Toltec, and had planned on also taking the Durango & Silverton. Unfortunately, Martine came down with a headache from the high altitude and was afraid of aggravating it by taking both trains. In addition, the pinched nerve in her back was irritated by the constant lurching of the cars as the train went downhill. So, after our ride on the Cumbres & Toltec, we sought lower ground, even if it was to put us back in the middle of the desert heat we were hoping to avoid. The Cumbres & Toltec ascended to the snow level at around 10,000 feet at its highest point, before going back down 2,000 feet to Antonito. At Antonito, we took a bus back to Chama. The ride took only one hour, whereas the train, on a parallel route, took five hours. At Osier, Colorado, we were unloaded from the train to have a substantial free buffet lunch before continuing to the end. Hopefully, some day I may yet take the Durango & Silverton, though without Martine who is puzzled by my love of trains. That love goes way back to my scouting days, when we took the Erie Railroad to Ashtabula, Ohio. Then, in college, I road the New York Central from Cleveland to Albany, New York, from where I took the Vermont Transit bus to Rutland, Vermont, and the White River Coach bus to Hanover, New Hampshire. I love trains so much that I even enjoy taking the light rail to downtown Los Angeles. Sometimes, the worst thing that can happen to one is to be victorious—especially when one is a dishonest real estate promoter who has a record of fraud and lying. I was amused to find that Trumpf (pronounce it with a distinctive razzberry sound at the end) is already raising money for his re-election. Of course, he will find deluded people who will donate to his re-election campaign. Add to that the possibility that he will win again. Even if he wins, happiness will elude him, as it always eludes people like him whose values are specious. For whatever reason, his wife refuses to live with him. (She knows.) Our presidente divides the world into “winners” and “losers”: By definition, he is with the former. If I would have to be like him to be classified with the winners, I would just as soon be a loser, thank you. Don’t worry too much about Trumpf’s re-election. 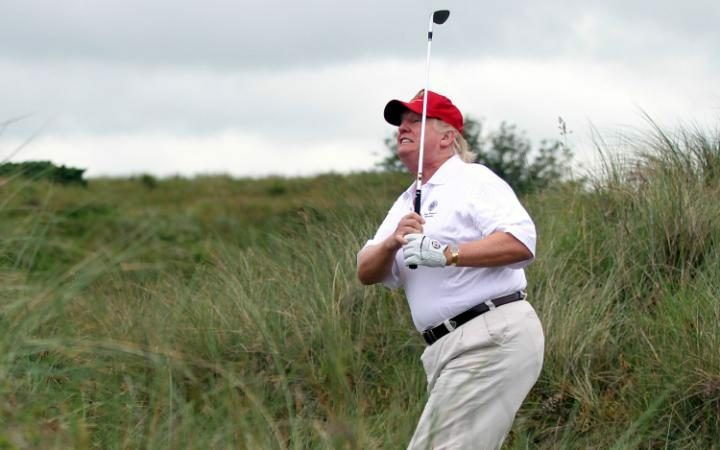 He looks dissipated and unhealthy, living on a diet of fast food that could not be good for him. There is a decent chance that this ultimate winner will soon be fighting for his life. 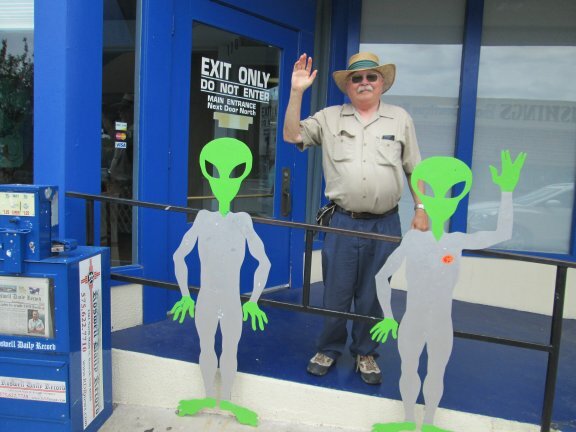 One of the highlights of our recent New Mexico trip was a visit to the Roswell UFO Museum, where Martine and I cavorted with certain other out-of-state visitors. We had been there briefly in 2003, but we had to be in Albuquerque before nightfall, and it was several hundred miles of hard driving. This time, we spent more time and were royally entertained. Whether or not UFOs landed in Roswell on a July night seventy years ago almost doesn’t matter. There are so many millions and billions and trillions of stars that there must be life of some sort out there. Whether we will ever see it is a matter of conjecture. Martine believes it really happened and that the military put a lid on it. But then, she was a civilian military employee in New Jersey and California for some eighteen years and would not put such behavior past them. There is plenty to read in the numerous displays about the Roswell incident—enough to fill a 500-page thickly packed volume. Much of the information is from the next door neighbor of the guy who witnessed it, or his nephew seven times removed. It doesn’t altogether invalidate the information, but it does make my antennae twitch a bit. I myself have never seen any UFOs or constructed any sculpture out of mashed potatoes. Still, I can take a tolerant view of all this—if for no other reason that it is enjoyable. I regularly read science fiction (I am now reading Harry Harrison’s Deathworld 3), and am an aficionado of sci-fi movies. I’m even a bit of a Trekkie, though I prefer the original series and its sequel with Jean-Luc Picard. 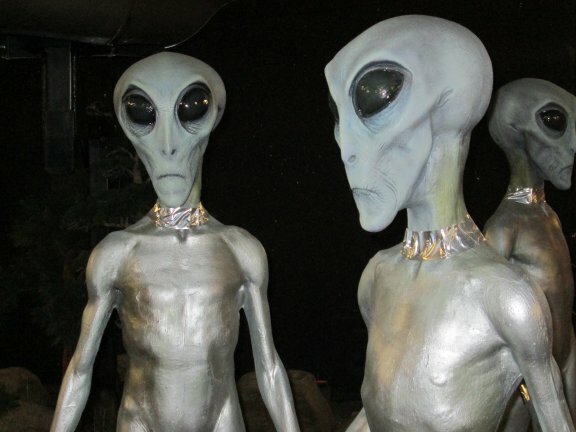 Let me loose in a place like the UFO Museum, and I will have a good time, irrespective of any assaults on my credibility. 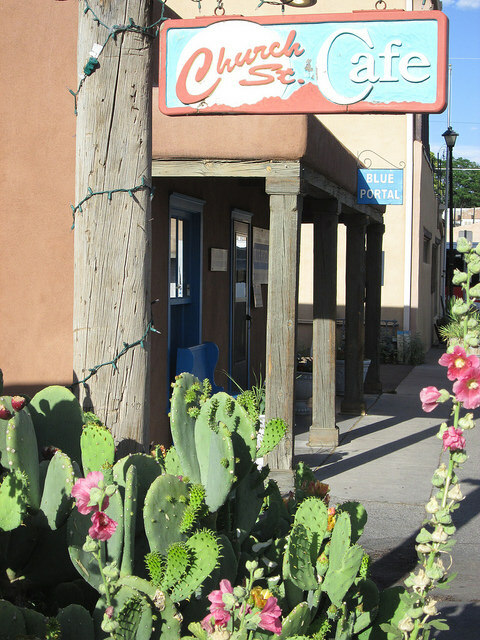 If you find yourself in the wilds of Southeastern New Mexico, you could do worse than visit Roswell. And you can justify it by attaching to it a visit to nearby Carlsbad Caverns National Park. Not for the first time, I came down sick on my travels. In 2006, I broke my right shoulder in Tierra del Fuego and received care for it at a clinic in Ushuaia. In 2015, I got food poisoning and had simultaneous diarrhea and vomiting: That time, I cured myself by taking extra Prednisone and managing to keep it down. On this trip, I got food poisoning in Acoma at the tribal Sky City Casino. It was the same diarrhea and vomiting with the addition of chills (though unaccompanied by fever). I wasn’t going to mess around this time. I asked Martine to drive me to the nearest hospital. 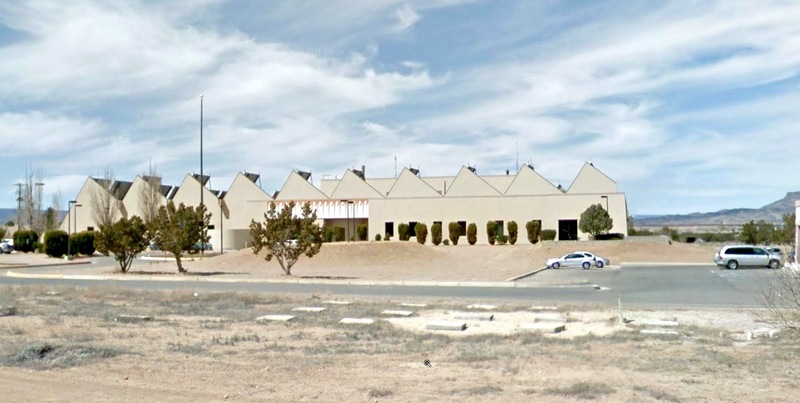 The front desk of the Cassino hotel directed us to the Acoma Cañoncito Laguna Service Unit of the Indian Health Service, which, luckily, was just down the street. I was very fortunate that the doctors who interviewed me listened to me and put me on an IV with Solu-Cortef and sulfur (to relieve the nausea). Within two or three hours, I was as good as new. Martine, however, was worried as she sat in the waiting room. My guess is that I was seriously dehydrated, and that brought on an Addisonian Crisis. As I have no pituitary gland, I had to have an infusion of ACTH with the IV. Once that happened, recovery was quick. The ACL Service Unit did not have any beds, but offered to have me driven to one of the big Albuquerque hospitals an hour east. I thanked them, but refused their offer. Once they get me in a hospital, doctors like to prod and poke me for several days because of my interesting mix of endocrinological issues. I did not want to give them the opportunity, perhaps coming down with a super infection in the process. The Indian Health Service personnel were very competent, which made me feel good that the Indians—together with one stray traveler—were getting good care. 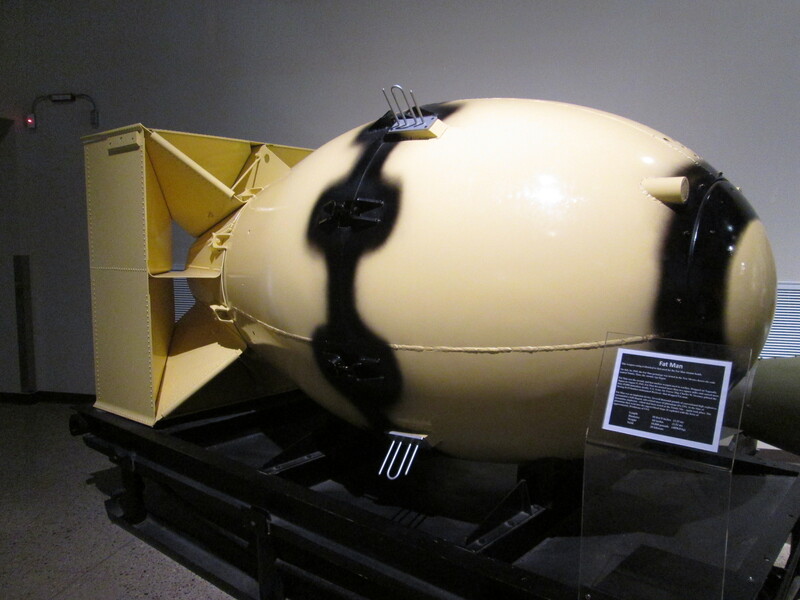 The atomic bomb was born in the State of New Mexico. It was created by the Manhattan Project at Los Alamos in the northern part of the state and tested at the Trinity Site in the Jornada del Muerto Desert 35 mile southeast of Socorro. 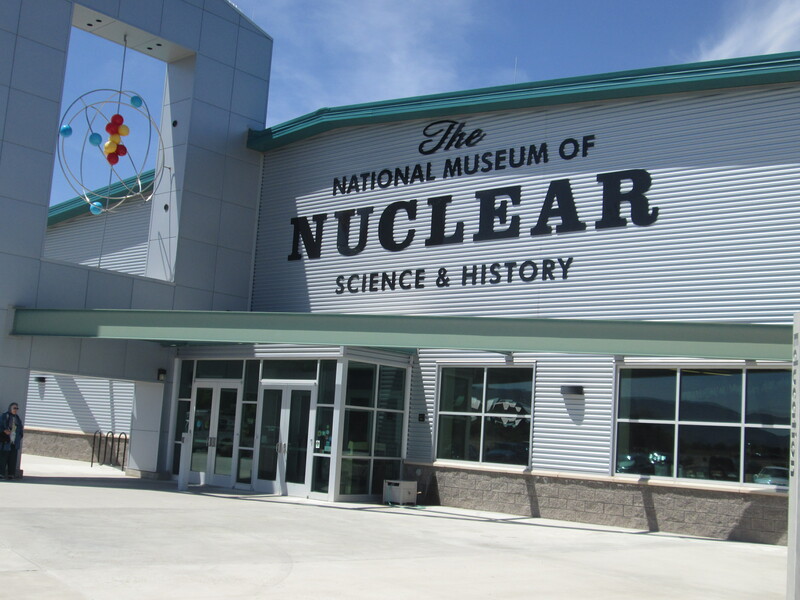 To commemorate the state’s role in our country’s nuclear history, there is a superb museum near Kirtland Air Force Base detailing that history and discussing both the wartime and peacetime uses of the atom. We had visited the same museum in 2003, when it was located in Albuquerque’s Old Town, near the present site of the city’s Natural History Museum. Now it is even larger and deals with many more ancillary subjects, such as nuclear medicine and nano technology. Probably what interested me the most was a demonstration of the different kinds of radiation (electromagnetic, particle, acoustic, and gravitational) and how much shielding is required for each. We also had the opportunity to see Trinitite, which was formed by the A-Test at the Trinity Site when the sand was formed into a radioactive green glass-like mineral. 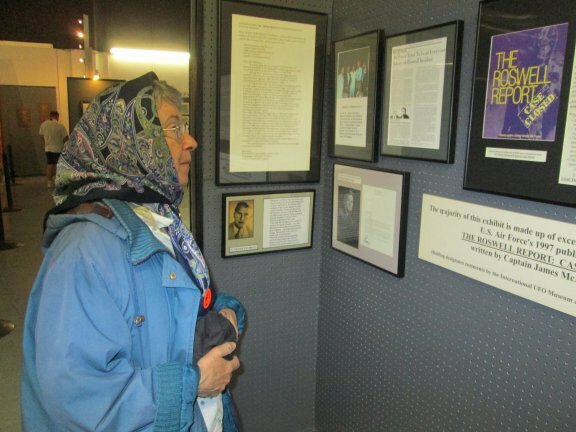 The last time we were in New Mexico, we also visited Los Alamos and its world-class Bradbury Science Museum. We were appalled at the time to see the destruction of so many thousands of trees surrounding it by a wicked pine bark beetle infestation. There was a good chance that this was going to happen—and it did! Each day we were in New Mexico, the thermometer went over 100º (Celsius 38º). I had been hoping that the summer thunderstorms would have started, but they couldn’t because of a gigantic and persistent high-pressure area over the Southwest. It didn’t exactly ruin our vacation, but it made us change our plans frequently. We tended to visit outdoor sights in the cool of the morning, reserving the afternoons for air-conditioned museums, if possible. Thus we couldn’t see the Very Large Array west of Socorro because it involved a 120-mile detour through the dread Jornada del Muerto (Journey of the Dead Man) Desert on a particularly fiery day. But then, one should always take chance into account. I remember one trip to Yucatán in the 1980s when the temperature in Mérida was super hot and humid, such that I came down with some fever and chills. I called in a local doctor, who made a house call and cured me within a few hours. At that point, I resolved to get out of Mérida and fly to San Cristóbal de las Casas in the Sierra Madre Mountains, where the temp was quite bearable. Another complication is that the one thing we could have done—namely, to seek higher ground in Colorado—was not an option because Martine started coming down with altitude sickness at around 7,500 feet altitude. So we had to go down to a lower elevation and higher temperatures. Even so, I had a good time. I cannot say that Martine did. She continues to have a problem with a punched nerve in her back (which first manifested itself four years ago) and cannot get a good night’s sleep on a soft hotel mattress. We took an air mattress with us, but it turned out it could not hold air as one of the valves was broken. The whole vacation was an exercise in how to survive in difficult situations without falling prey to negativity. The high points were our visits to the Smokey Bear village of Capitan; the UFO Museum in Roswell; the old cavalry station at Fort Stanton; and the town of Lincoln with its Billy the Kid associations. 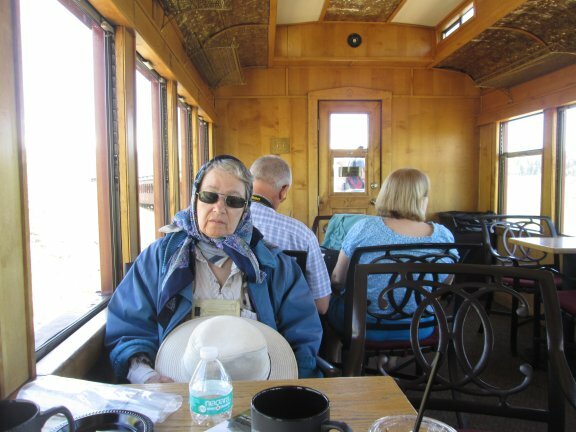 The low point was the steam train ride on the Cumbres & Toltec Railroad, during which the lurching of the cars led to spasms of pain affecting Martine’s pinched nerve.